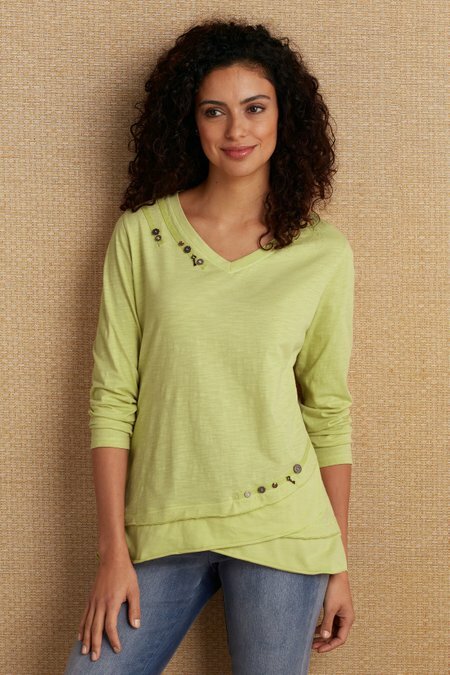 A layered asymmetrical hem and rows of decorative buttons give this soft slub tee a great twist. With raw edging at the high-low hem. Cotton; cotton/spandex. Misses 27"/28" long.